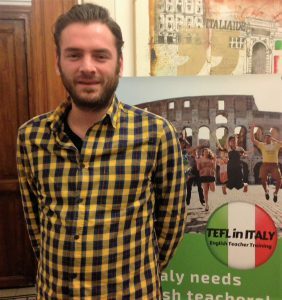 Read what some of our graduates say about their Trinity TESOL course in Rome! It is a very professional course. I feel this course helped prepare me to be an English teacher. Charles was a great tutor! 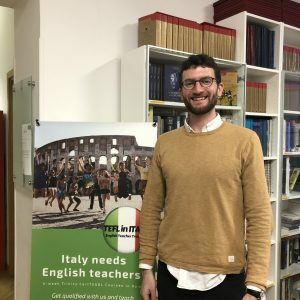 The course explains a lot of details about how to become an English teacher and how to find a job as an English teacher. I highly recommend this course! It has been a very intense month but I believe it has been worth the hard work. Cancel all your plans and go for it! The trainers were really friendly and approachable. Their support was really important; I could ask all of my questions and I felt supported throughout the course. On this course I learned a lot about different aspects of teaching. My experience on the Trinity CertTESOL course was good and demanding at the same time. It is good because it is very practical and it really helps you to start teaching, especially if you don't have any previous experience in this field (like me!) I would say the course is demanding because you need to fully commit yourself to it, and it isn't as easy as it may seem! 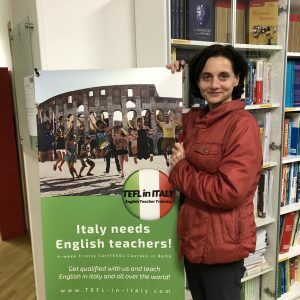 My time on the Trinity CertTESOL course at TEFL in Italy was a great experience that has equipped me with the skills to become a quality English teacher. It also allowed me to develop friendships and connections that will enrich my experience going forward. 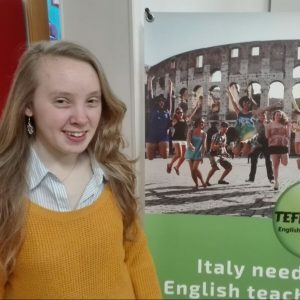 I found the Trinity CertTESOL course to be helpful and I now feel more confident in my teaching ability and have a greater interest in TEFL. The trainers were supportive, and since they were always here, it wasn't hard to get their help if you turned up any day of the week. Charles sharing his experience was very helpful! 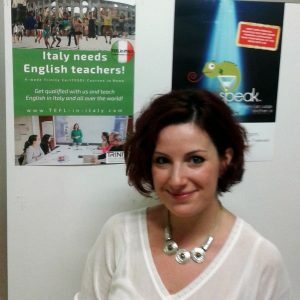 The Trinity CertTESOL course at TEFL in Italy isn't easy but you learn! In my opinion the eight-week course, if you have the time and possibility to dedicate that amount of time, is a better choice than the 4 week course. The pace is a little more manageable and you have a better chance to process what you are learning. Try not to take on any additional stresses for the duration of the course. It's intense! Hold on to your hats! 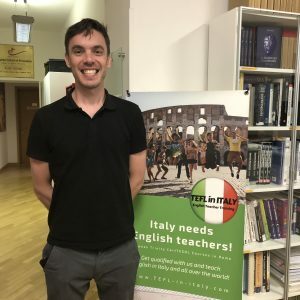 My experience on the Trinity CertTESOL course at TEFL in Italy was challenging - certainly the most intense experience I've ever had, as the 4 weeks were full of information and Teaching Practices. Yet, the course is well put-together and I could notice my improvement from week to week. 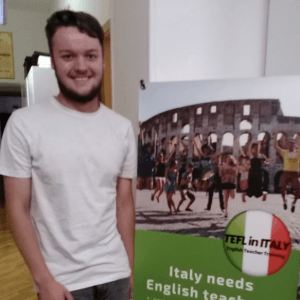 The Trinity CertTESOL course at TEFL in Italy was a great experience. My advice would be to really embrace the experience and try to get as much as possible from your time here. Don't be afraid to ask as many questions as possible - the trainers will be happy to answer and assist! I met loads of great people and learned so much! 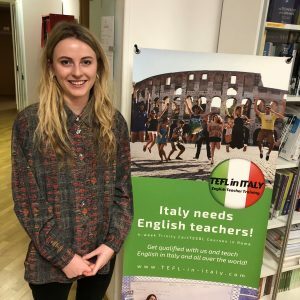 My experience on the Trinity CertTESOL at TEFL in Italy was a positive one, enabling me to become a professional teacher. The trainers on my course were excellent, supportive and provided very helpful feedback. I would have liked more of a sustained focus on grammar, especially tenses, and better printing facilities. Overall, a friendly, learned experience. I can't recommend this course enough. It is intense (more intense than I could have possibly anticipated), but the end result is worth the blood, sweat and tears for the 4 weeks! The teachers and staff are amazing - super supportive and always full of ideas! I would recommend brushing up on grammatical rules beforehand, because this can be a little overwhelming if it's been a while since you've studied grammar! 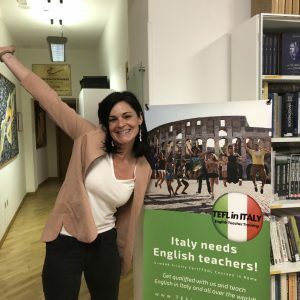 A great month learning how to teach English in Rome. The course has been intense and a huge learning curve but a really positive experience. The course outline and support offered throughout by the knowledgeable and experienced teachers has helped the 4 weeks fly by. Thank you to all the staff who have made this possible. 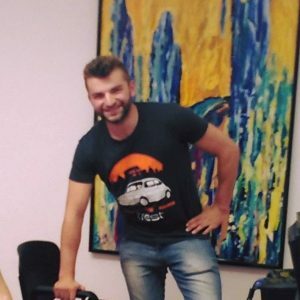 Would recommend this course to anyone who wants to teach English as a foreign language. In terms of the teaching this course is first rate. The teacher are enthusiastic and knowledgeable. You will be equipped to begin your teaching career and be exposed to all the subjects that are important in teaching. It-s not just about grammar! 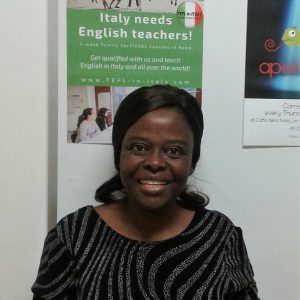 There are many aspects to being a teacher of the English Language, which is what makes this course interesting. The Trinity Method is a great method, because it combines creativity with intellectual aspects of being a teacher. 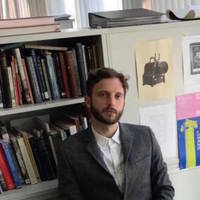 What you do have to be prepared for is the amount of work this course requires, yet you will be prepared internationally from Trinity College London. The work is the equivalent of a one year course, and it does require and intellectual analysis of teaching i.e written reports, exams and practical teaching opportunities from Week 1. It is challenging yet worth it. It was the course from hell, but a paradisiacal experience. Truly do forget about your life when here, you need to focus on your work and improving with every proceeding try. I can definitely see my own personal improvement and growth, just as it was evident amongst the other learners in my group too. It’s quite intensive, but it’s all set and done in only 4 weeks that go by fairly quickly. 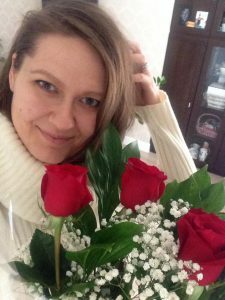 You leave with so many new techniques, tips, practices and your certificate! You have to pace yourself, work hard, and make sure to sleep! The course opens your eyes to how students learn and what actually works with language learners. The location is divine, right in the center of the city, surrounded by beautiful monuments. 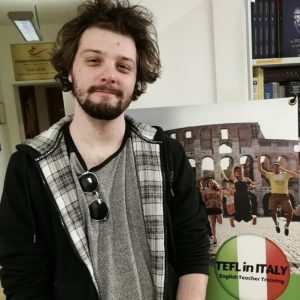 The school is growing and things keep improving, plus you’re in an international environment in the middle of all the hustle and bustle of Rome. 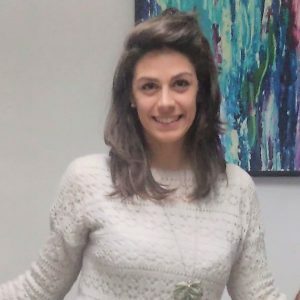 The course tutors that will be instructing you are very professional, skilled, and experienced, they truly care about having you improve with every week and absorb as much as possible. The support is always there, and makes it all the difference in developing your teaching skills. I am really glad I took this course! It’s been really intense but I’ve learned a lot and enjoyed myself a lot. I think (hope!) I’ve made friends for life and developed new skills, that I can’t wait to make use of in the classroom. Make no mistake: this course is not for the faint-hearted, but if you’re willing to work hard and you have an open mind then you will learn a lot. Having studied teaching and linguistics for five years, I had little idea of what an English lesson could be like. My education allowed me to work as a teacher but as a teacher with a rigid mindset and lack of flexibility. I was taught to be like this: to rely on a set of rules, directives and limited understanding of the learning process. However, that went against my nature and I realised that something had to be done. I didn’t really know how or where or when, though. It was by accident that I came across the abbreviation TEFl and became curious of its name and philosophy. Although, nothing is an accident, really. This course gave me a sense of direction. And it gave me confidence that setting goals for your professional development might result in you actually achieving them. I’ve learned a lot on this journey. And I am grateful for the people who were with me. 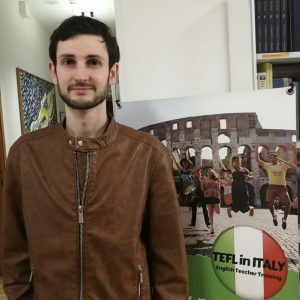 Completing my CertTESOL with TEFL in Italy was a fantastic experience. Intensive, certainly! Yet, also practical, engaging and incredibly worthwhile. The staff are friendly and approachable, and the tutors are experienced and supportive. 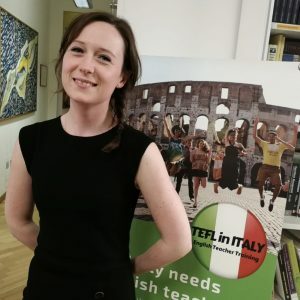 Thank you for the (whirlwind) month in Rome! 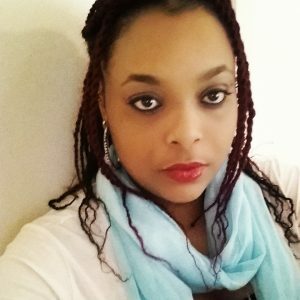 This course helped me improve as a teacher. I was lucky to receive constructive feedback from experienced teachers. The students were eager to learn English and they asked interesting questions that helped me in my teaching practice. 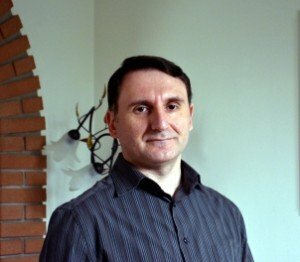 I was given useful tips, good ideas and valuable strategies to enhance my teaching skills. I had the opportunity to meet nice people with different backgrounds and this made our discussions even more interesting. I have learned a lot in such a short period of time, I’m really happy I resisted for the course in Rome. It was a wonderful journey to class every day! I would recommend this course for anyone who’d like to become a certified teacher. 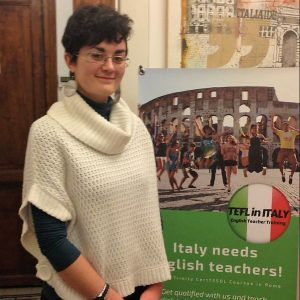 They gave a lot of support and you learn so many things and gain new and extraordinary insight into the world of teaching languages. I would highly recommend this course to any potential candidate. It is thorough, engaging and you receive lots of support. I would highly recommend this course. It was really intensive but it was the best choice of my life. I can guarantee that people will not be disappointed with this course. The course is really challenging but rightfully so! The school is amazing and the tutors are great! Always ready to answer to your questions. These past two weeks have been really challenging, but I loved the cooperative atmosphere and the pool of ideas we shared and got inspired from! I will definitely recommend this course to anybody willing to pursue a career in teaching! This course was a positive and constructive experience. I learnt a lot in an intense but exhilarating way. The trainers were very supportive and approachable. I have come away with a great sense of achievement. 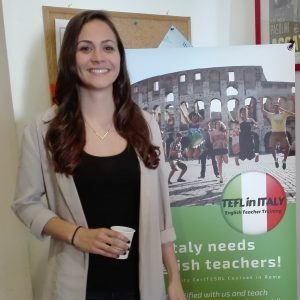 Thanks to all the TEFL in Italy team! The last 4 weeks has been a truly enriching experience. The input sessions were well planned and had an amazing time gaining knowledge. The tutors were ever willing to share their knowledge and provide support. Would highly recommend. Dina is the best. (and Chiara too.) You're gonna love it here. The best experience of my life. Threw a coin in the fountain, definitely coming back! Well above my expectations! 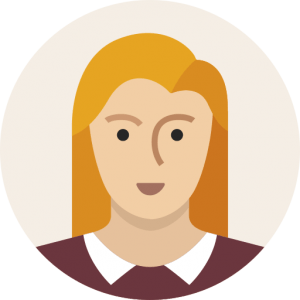 Professional tutors and excellent feedback! 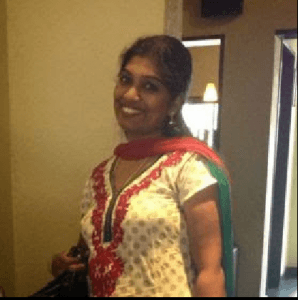 I have learnt so much in such little time and feel confident to continue my teaching career. 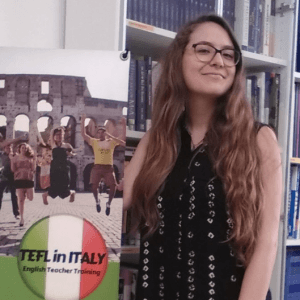 Thank you TEFL in Italy! 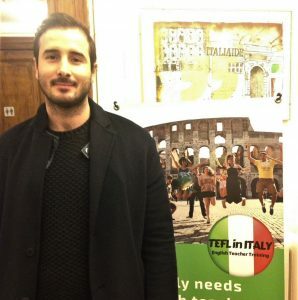 Amazing experience, great quality instructors, all in the center of the eternal city! So glad i got my certification here! It was a great experience and I really learned a great deal in one month! The staff was great!!! During this course I learnt so much, met some great people and made some friends for life. Great experience! Hard work, but fun. Very open to the ideas you bring in and this made it a great way to develop as a teacher. This course challenges you in ways that push your limits and force you to become a better teacher. The trainers are exceptionally qualified and offer personal feedback to every student. 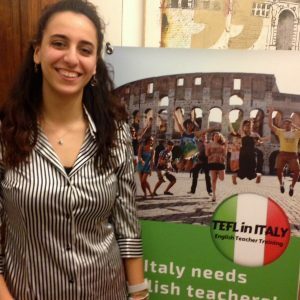 While it is very challenging, you really do learn a lot about TEFL and leave the course feeling prepared to move forward with your career. 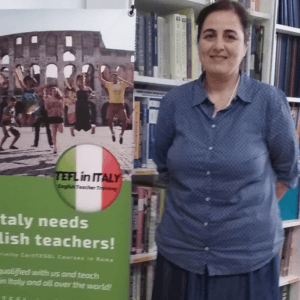 Grazie mille TEFL-in-Italy! In just four short weeks, I have learned how to teach English to students from all over the world- wow! 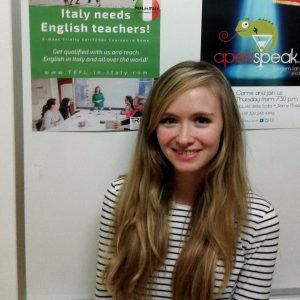 I have really enjoyed teaching English to a classroom of adult Italian students as well as having the opportunity to further develop my skills as a private teacher. 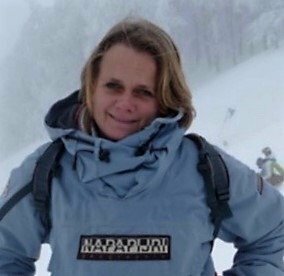 Overall, I feel that this course has been a very illuminating experience in terms of observing my strengths and weaknesses as a teacher and giving me the opportunity to reflect on my personal development in general. 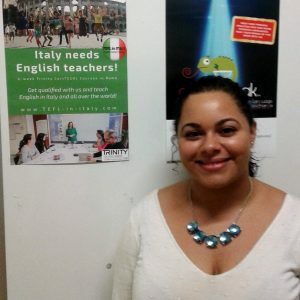 I am grateful for the opportunity to participate in this TEFL course in Italy ~ thank you! There are but 2 things in life that after availing of, have led me to doubt “Have I paid enough for this?” One is honey, (all the work that goes into producing just a teaspoon full and here I have this large Jar!) and the TEFL teachers training course. Ah 3 things...coat hangers just came to mind.. (have you ever actually bought one?) but here's my point. 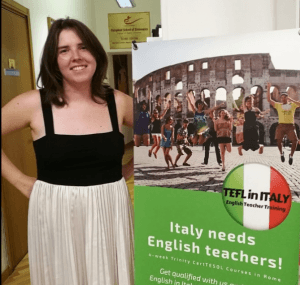 This TEFL course is more than your moneys worth. 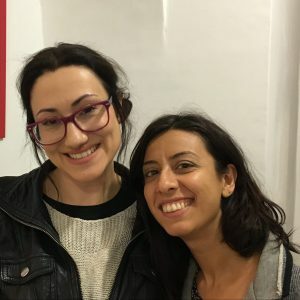 Busy Bee trainers, highly professional, efficient and engaging, the end product being techniques to take home so etched into your brain synapses that you wont…..actually cant forget them evermore. I entered the course a dull dusty boring lecturer of a teacher, with 'set in stone' techniques and unrealistic expectations from students…. (sorry S's). Abracadabra, one month later and these horrible habits had been obliterated, sand blasted into sweet tasting and scented teaching styles, remembering amongst many other things to Read, Write, Listen, Speak with S's and Ask, Don't Tell! OK there is the risk of going insane due to the crazy intensity of cramming so much into one month , but none of my class did, probably due to the fact that at least 3 of us were already barking mad (but we did lose one candidate after less than a week due to the stress of it all) so pace yourself for the 'long haul' and not 'economy flight'. The location location location is 3 times a winner and while there are negatives the positives genuinely outweigh all else. Following the course has improved my teaching significantly. Even though I already have four years of teaching experience, this course still gave me a lot of new knowledge and skills that I can put to good use in the classroom. 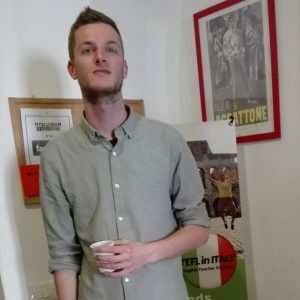 Thank you for the help and support over the course, which has put me in a position to find work in Italy. I noticed a huge improvement in my group teaching during the course. The course is very intense but in the end so satisfying. It’s a nice experience and I can only recommend it to others who want to teach and see the world! This was a fantastic experience, I loved learning and gaining experience about being a teach here. And everyone at the school was great! 100% recommended! 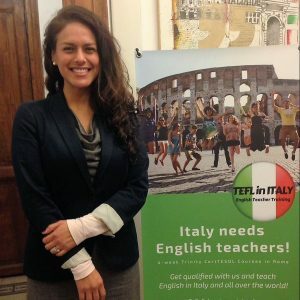 If you want to start building a teaching career, I deeply recommend the TEFL course. It is an experience I will always remember. Teaching is what I have been doing for the past three and a half years, but it is not something that I had developed a passion for — until now. 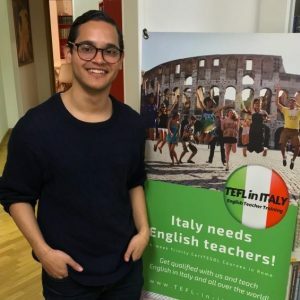 Doing this TEFL course in Italy has opened my eyes to the range of benefits, intrigue, and overall satisfaction that can be had from teaching, and it has taught me new things both about myself and about the profession. 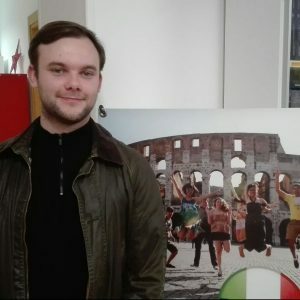 I have always wanted to travel to Italy, and doing so with the added bonus of improving myself professionally was the best decision I have ever made. It is true what they warn you about: the course is intense. However, the assignments, input sessions, and teaching practice all combine to aide in your development and, in the end, make you a stronger and more confident teacher. Proper time management and great support from fellow trainees and tutors alike guarantees that you will make it through, no matter what. I learned so much on this course, met some of the most amazing people, and have now strengthened myself with a certificate that will keep me moving forward. If I could do it over, I would not change one thing, except for maybe this: I wouldn’t leave. 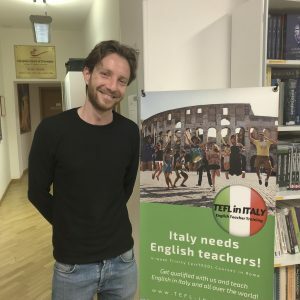 If you’re thinking about a TEFL course, this one is a good one. Just go for it. The course was a wonderful experience. Detail oriented with excellent tutors. Teaching Young Learners course The course was very interesting and useful, we got the answers to most of our questions about teaching young learners. We can't wait to put the strategies into practice! I would recommend this course. It was intensive but of good quality and overall it gave a lot of energy and satisfaction. That in combination with nice people in such a beautiful city was an experience I wouldn’t want to miss! A very challenging course well-constructed and substantial. I recommend it! It was an intense course, it was so engaging! Professional tutors. 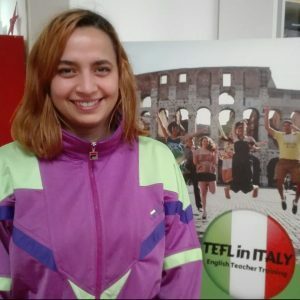 I have learned a lot in one month TEFL training. Brilliant location. As they say at the beginning: cancel all your appointments, forget your family and friends, don't even set appointments with the dentist... you are attending a TEFL training!!! The course is highly intensive, but after having completed it, I feel an enormous sense of achievement. It taught me so much about the importance of time management and how to prioritize. We all experienced a whirlwind of emotions throughout, but worked efficiently. It did help to mould us into stronger people both on a personal and professional level. The tutors we had were very dedicated in helping us succeed. They led by example in showing us what it takes to be a teacher of English. They always gave constructive, honest feedback to the lessons we taught and never failed to encourage and praise us when we showed improvement. I thoroughly recommend it to anyone who wishes to further their teaching development. The course is intense, but so fulfilling. 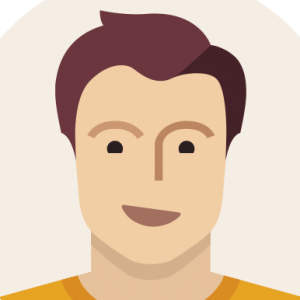 The trainers are experienced, available, and friendly. I learned more than I could have ever imagined. Rome is gorgeous and the students you will be teaching are so enthusiastic and supportive of the trainees. Are you at all hesitant? Sign up!!! It was one of the best decisions I’ve ever made. I will never forget my time here. When they told me the course is intensive, I didn’t seriously know what to expect… I found out when I arrived there: tons of information on subjects I never studied, nights of little sleep to be able to complete the tasks and prepare lessons for the teaching practice… But exactly for this reason it changed me like few other things happened in my life did: it showed me sides I didn’t know about myself, skills I didn’t know I had. There were difficult moments, of course, but I didn’t give up, especially thanks to the tutors: they are there to help you when the pressure is too high. If you will take this course you will not be left alone, and you will get the value that you paid for. I was certainly one of the more mature students in the course. The training was a great experience. Despite being very intensive it was good value for money and a great opportunity to re-invent yourself and start a new career in your life.The facilities were excellent, the location could not have been better, and most importantly everyone was very friendly, open, and positive. 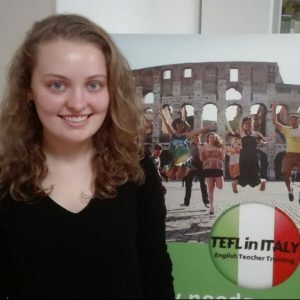 The TEFL course is an effective way of getting a recognized qualification in a very short time. I would recommend it to anyone. At first, I was very nervous about the course. 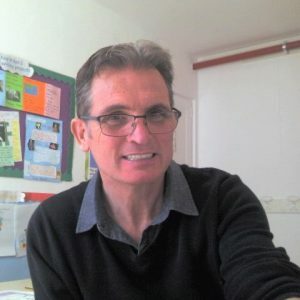 The tutors were very friendly and open to help you. The first week is where a lot of learning and serious guiding for us takes place. From the second week, you are supposed to do your own lesson plans, and it’s very scary to do. The tutors and other trainees are there to help and assist you.I have to say the amount of work is huge, and yes, it takes a lot of time. The course, it is afull-time thing, but the joy to have the students doing and understanding what you prepared is worth it. At the end, the sense of accomplishment is amazing! 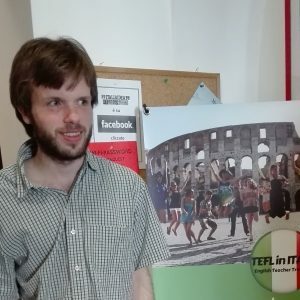 I would recommend, for sure, the TELF course in Rome. 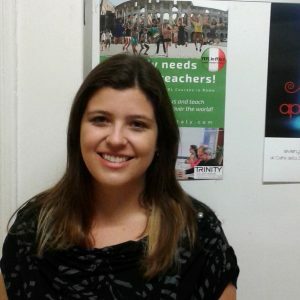 The TEFL course had a large amount of source information and tools to become a great teacher. I learned so many things in just one month. It’s very intense, like every short course, but the tutors really helped us and kept motivating every trainee. We all shared beautiful and stressful moments as a big family! The atmosphere within the school is great for learning and teaching. The scenery outside is beautiful and I took walks during my lunch break with the other trainees. I have had a lovely time for my first study abroad experience. Don’t give up and be motivated throughout the course! You’ll be satisfied in the end and you’ll see all your progress!